I’m going to take a slight left turn in today’s Emmy Nomination Predictions and focus on the Best Host of a Reality or Reality Competition Program category! This category has only been around for the past five years, so it’s a little harder to get a read on who might make the cut. After all, Survivor‘s Jeff Probst, who won the first four years of this award’s existence, wasn’t even nominated last year! Will he be shunned again, even though it’s almost impossible to imagine Survivor without him? It’s equally hard to picture American Idol without five-time nominee Ryan Seacrest. How he has not yet won this award is beyond me — he practically defines grace under pressure, having kept the circus-like Idol proceedings running (relatively) smoothly, on a live-show no less, for the past twelve years. (At least Probst has the benefit of editing!) Coming off of Idol‘s low-rated season, however, he is definitely vulnerable this year. Due in large part to the frostiness between Mariah Carey and Nicki Minaj, he seemed to not quite know how to interact with the judges, and as a result frequently felt a little low-energy. Will he be left on the sideline? Last year’s champ, Dancing with the Stars‘ Tom Bergeron, would seem to be a shoo-in to return, and based on the Academy’s love of all things Betty White, she may also make the cut again for Betty White’s Off Their Rockers. Phil Keoghan, who has been nominated each of the four years, has never taken home the award despite The Amazing Race‘s dominance over the Reality Competition Show category — does that make his possible nomination shaky as well? The beloved Cat Deeley, meanwhile, snuck into the group two years ago, and I’m guessing her charm and humor will land her on the list once again. Those not likely to hear their names called on July 18th include former nominee Heidi Klum and Tim Gunn from Project Runway, The Voice‘s Carson Daly (love the show and the judges, but Carson is so wooden!) America’s Got Talent‘s Nick Cannon, The Bachelor‘s Chris Harrison, Big Brother‘s Julie Chen, Top Chef‘s past nominee Padma Lakshmi, Top Chef Masters‘ Curtis Stone and, god willing, The Celebrity Apprentice‘s Donald Trump. 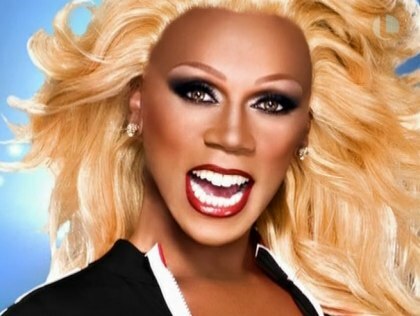 But what about Rupaul Charles from RuPaul’s Drag Race? One of the most entertaining shows on television, reality or otherwise, the show is what it is because of RuPaul. He snagged a Critic’s Choice nomination — could an Emmy nod be far behind? READ: Smash Star Megan Hilty Gets a New TV Show! This entry was posted in Television and tagged American Idol, Betty White, Jeff Probst, Padma Lakshmi, Phil Keoghan, Rupaul, The Voice, Tom Bergeron, Top Chef. Bookmark the permalink.